To celebrate Valentine’s Day, we are giving you all the chance to win the perfect pair! 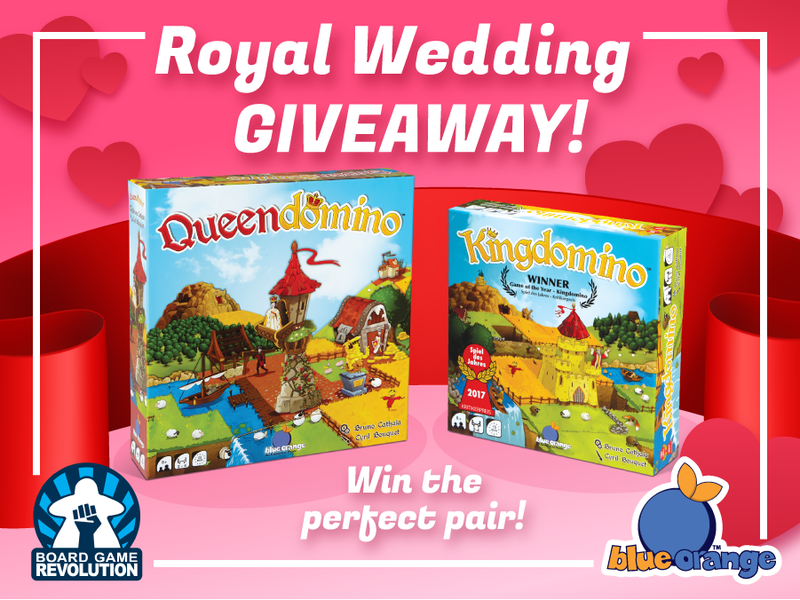 We have partnered up with Board Game Revolution to offer you not one but TWO chances at scoring a Kingdomino and Queendomino bundle. Follow the contest guidelines below and then head over to Board Game Revolution's contest page (link below) for a second shot at winning the bundle! - Tag the person or people you want to play this bundle with in the comments and tell us why you chose them!